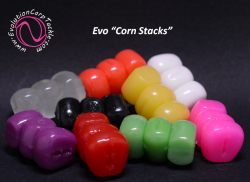 The “Corn Plug” is made from the same soft food grade material as our Corn Stacks. 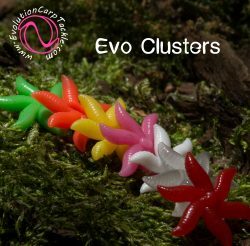 They are buoyant and can take on flavours. 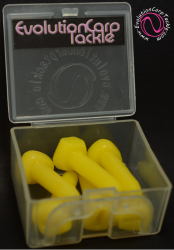 To use them drill a 6mm hole in your chosen bait and insert the tube. If you cut them off flush its then easier to add one of out bait Clips to then attach to hook. Using our Corn Plugs will make your bait more buoyant and also “Tip Off” giving maximum visual attraction, you can also add extra clusters to break up the outline of the bait and mix and match colours for very unique bait presentation. 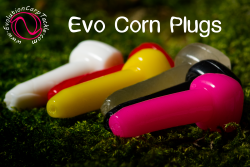 They are available in 7 popular colours Glow, Pink,White, Yellow,Orange, Green & Black. There are 6 Corn Plugs in box and are also available in a Bulk Pack.